SEOUL—Park Sung-jun, a practitioner of the Korean art of fortunetelling based on reading facial features, sits across from a client and tells her that her hairline suggests a job overseas could be advantageous. The shape of her eyes indicates it is wise not to get married too soon, he says. Then Mr. Park informs the woman that since he can’t see her original nose he is unable to offer her a full reading. 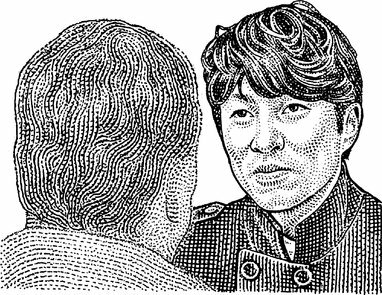 For Mr. Park, a very modern practice—cosmetic surgery—is getting in the way of his traditional craft. Seeking the guidance of a fortuneteller has long been a popular practice in South Korea. According to market research firm Trend Monitor, 70% of respondents in a 2012 survey said they planned to or already had their fortunes read that year. In recent years, the art of face reading in fortune telling, or physiognomy, has had a renaissance. It has been helped by the 2013 South Korean box office hit “The Face Reader,” a historical drama in which a man uses his knowledge of face reading to solve a murder in a 15th-century Korean king’s court. Last November, a television drama series “The King’s Face,” about a face reader who helps a crown prince retain his power, made its debut on a local network. Some face readers, including Park Sung-jun, make regular television appearances and give readings to celebrities. But finding an untouched, natural face is an increasing challenge in South Korea. The country has the world’s highest ratio of people who have received cosmetic surgery, based on 2011 statistics from the International Society of Aesthetic Plastic Surgeons, the latest available data. The U.S. ranked sixth that year. Local polls suggest that around one in five women in Seoul has undergone some type of cosmetic procedure, such as nose reshaping or the insertion of an extra fold into the skin of the eyelids. Mr. Park says a face reflects the state of the mind and body. He examines facial contours and complexion, looking for characteristics that reveal something about the client’s wealth-earning potential, career and romantic prospects. Those traits can be discerned only by inspecting the features that someone was born with, he says. He explains the shape and skin tone of a woman’s lower forehead reveal her reproductive health and that a dark hue around the eyes is a sign that a romantic relationship isn’t going so well. The nose indicates a person’s ability to earn money, which could explain how Warren Buffett made his fortune, he says. People like the so-called Wizard of Omaha, who have a fat nose with small nostrils, “usually make a lot of money,” Mr. Park says. But someone who has plastic surgery to have Mr. Buffett’s kind of nose “will not become a millionaire,” he adds. “Plastic surgery can’t change their fortune,” he says. Mr. Buffett declined to comment. South Korea has around 300,000 fortunetellers, almost all of whom base their art on millennia-old Chinese philosophy. Face reading is a skill that is learned as part of fortunetelling training. There is no consensus among fortune tellers on whether cosmetic surgery enhances or hurts a person’s life prospects. Park Eun-san, director of the Korean Association of Fortune Tellers, believes that surgical enhancements aren’t such a bad thing. He says that thanks to plastic surgery, South Koreans have “luckier looking faces” than they did a generation ago. Many South Koreans who opt for cosmetic surgery see it as a way to gain future personal and professional success. Adorning the walls of some subway stations in Seoul are advertisements for plastic surgery clinics that feature before and after shots of women who have supposedly gone under the knife. Ads typically suggest that surgery will improve life prospects, such as boosting the patient’s marriageability and job potential. For those looking for an assessment from a face reader before surgery, some plastic surgeons offer pre-operation face readings to their clients. Park Sung-jun is adamant that he wouldn’t recommend plastic surgery to any of his clients, but he admits that for some, undergoing a cosmetic enhancement can boost self-confidence and improve the quality of their life. On a recent afternoon, Mr. Park gave a consultation to a young man who had his jaw surgically broken and reshaped, a common procedure in cosmetic surgery but in this case completed to help the man resolve digestion difficulties. Mr. Park first examined the man’s pre-surgery photographs. As the face reader flipped through the images on the man’s tablet computer, he said the client’s original jaw shape indicated good fortune. “Your natural jaw stuck out and that means you can speak very well, a lot of people who go on television have jaws like that,” Mr. Park said. Becoming famous wasn’t the reason why Mr. Park’s female client, a 34-year old woman who asked to remain anonymous, had her nose bridge extended 9 years ago. “It was too small and made me look like a teenager,” she says. But after showing the face reader an old photo she keeps on her cellphone, Mr. Park tells the woman she does in fact have an auspicious nose after all. She didn’t seem surprised.